Coffee Set for 2 Persons – Four Seasons QS pattern. 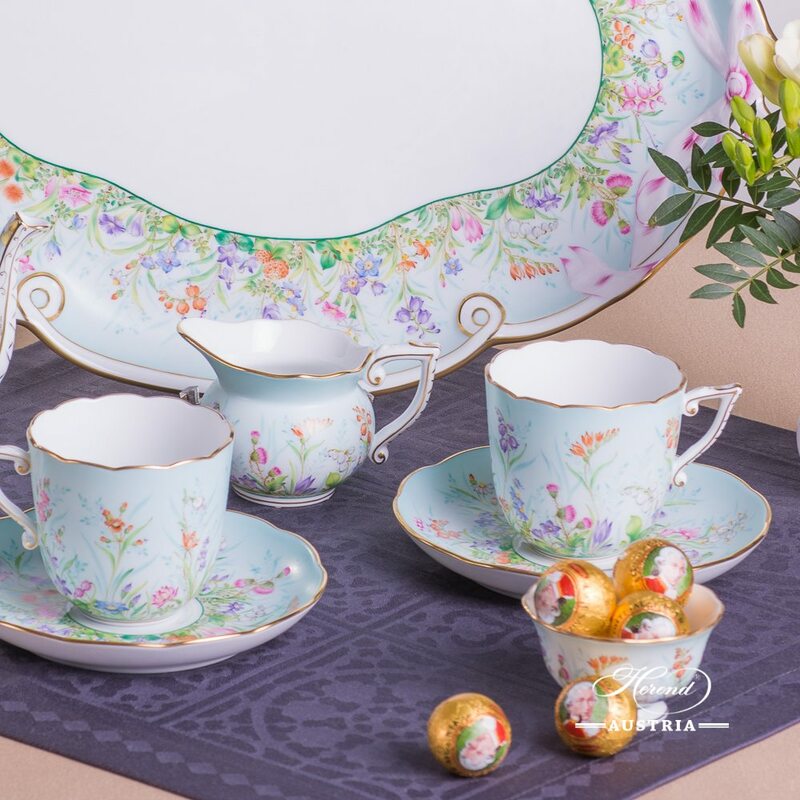 Herend fine china – Four Seasons QS (Quatre Saisons) design. Can be upgraded to larger Four Seasons QS Coffee Set. 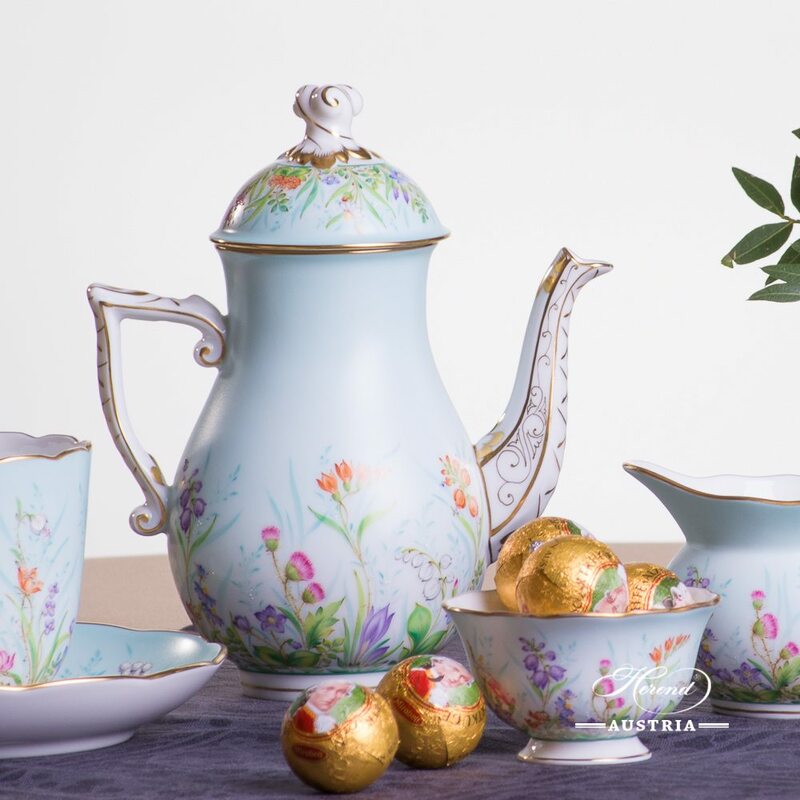 Four Seasons QS pattern – Herend Coffee Set for 2 Persons. 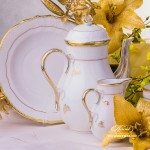 Coffee / Espresso Set for 2 Persons - Vienna Rose / Viennese Rose VRH pattern. 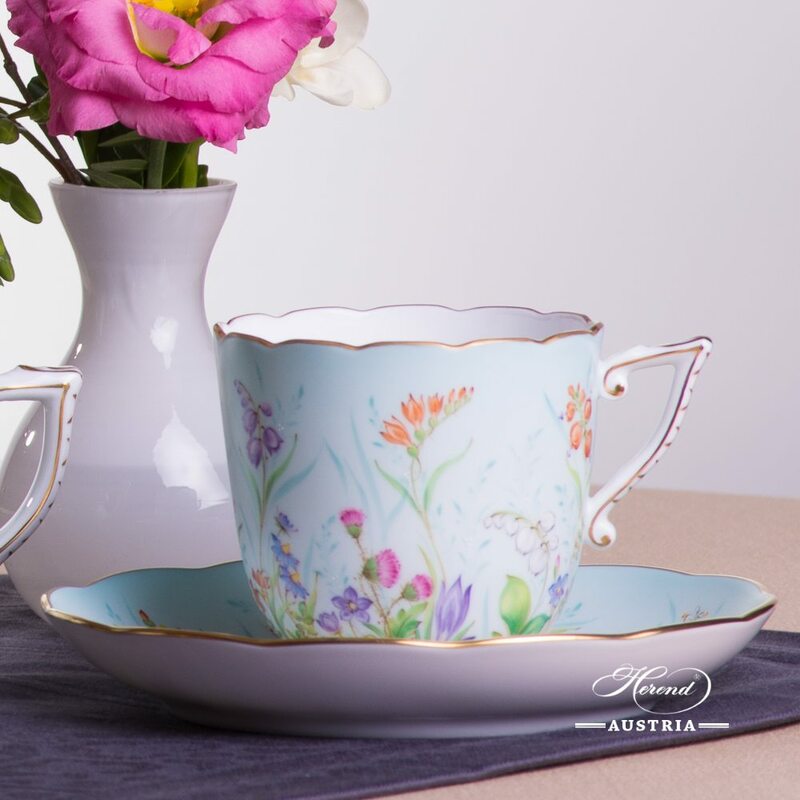 Herend fine china - Espresso Cup 735-0-00 VRH design. 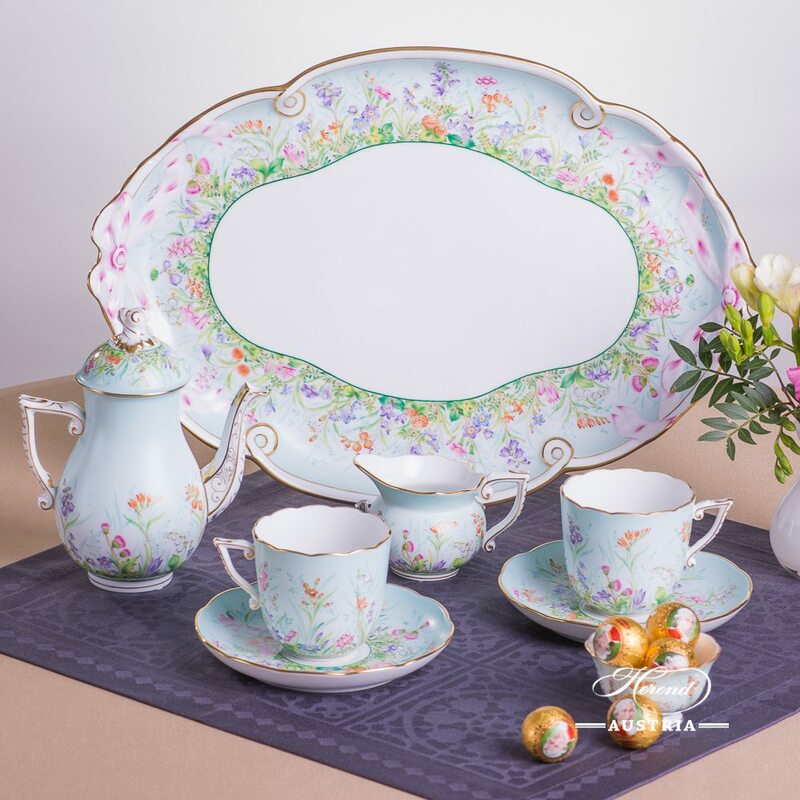 Vienna Rose design is a classical Herend pattern. 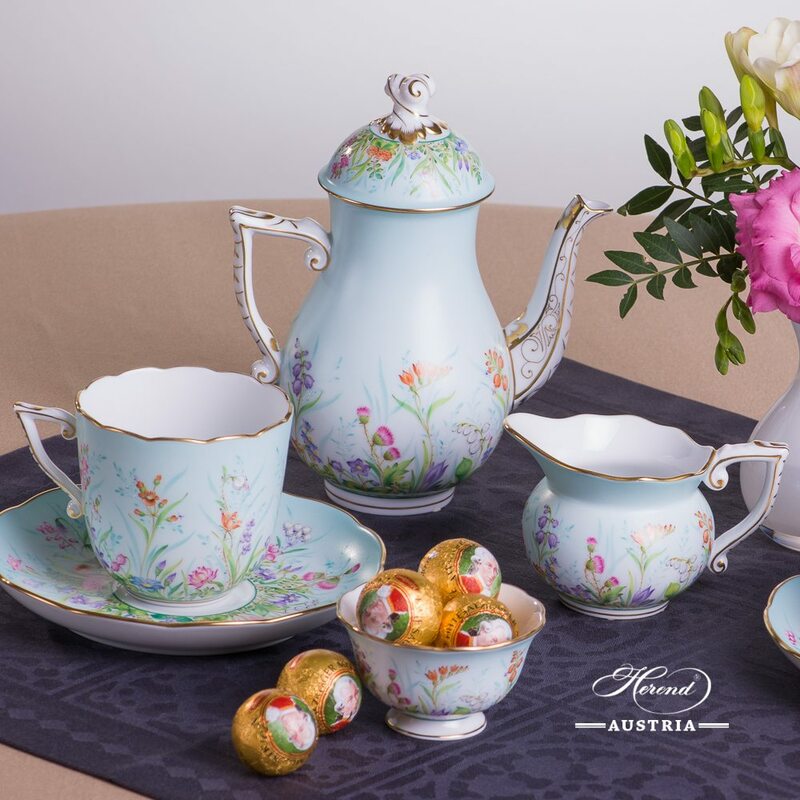 Thousand Flowers-MF Coffee Set for 2 Persons - Herend Porcelain Total: 8 pieces Herend porcelain items This Coffee-Set is available for more Persons too. 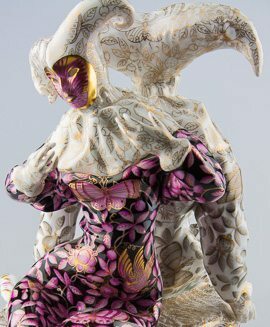 Feel free to upgrade to a larger Thousand Flowers Coffee-Set. 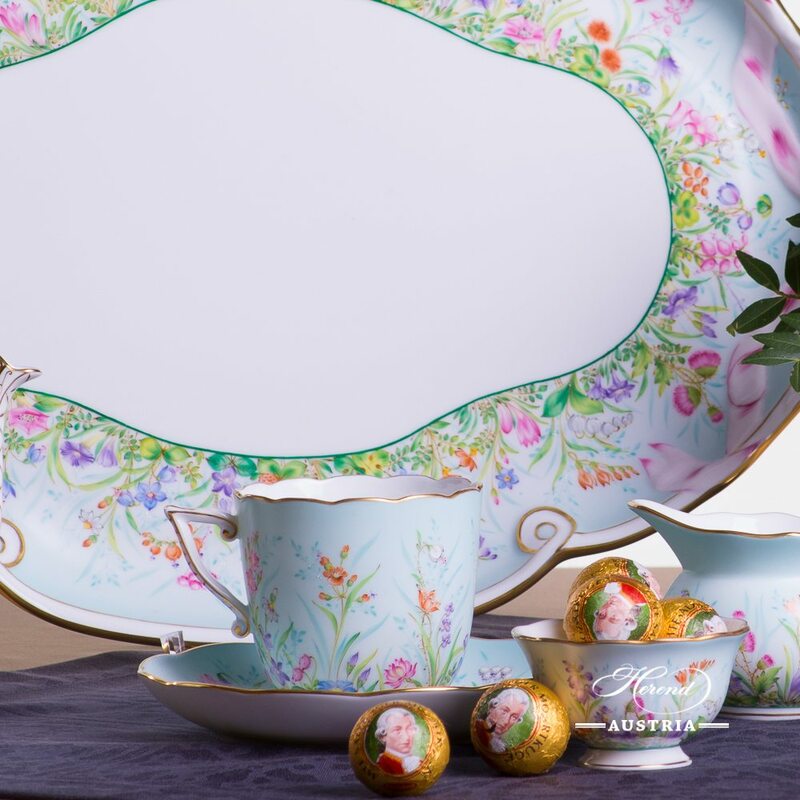 Herend Thousand Flowers decor is a classical Herend pattern.